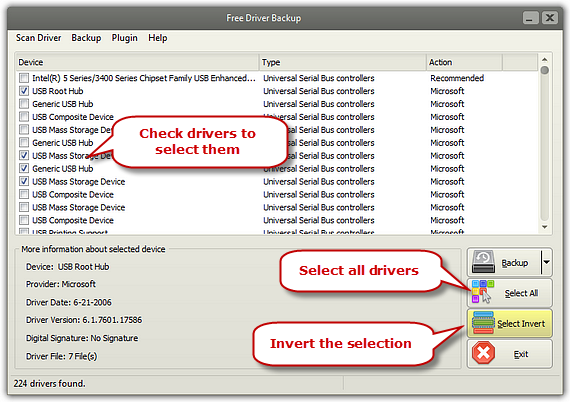 Launch Free Driver Backup and all the recommended drivers display in the window. Choose one driver and you’ll see its related info like device, date, version, etc. 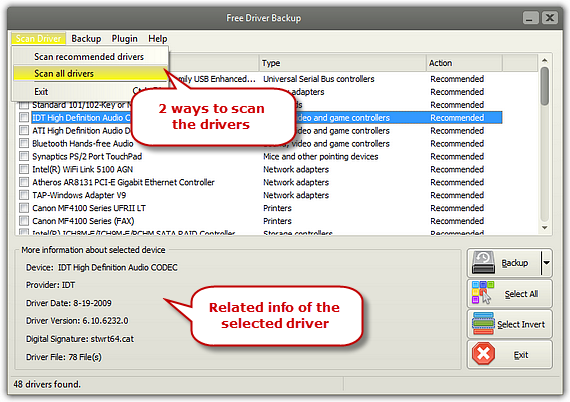 Click “Scan Driver” and you’ll find 2 ways to scan the drivers.